I love layering glitter/speckled polishes, the newest to join the ranks is from the new limited edition OPI collection Oz The Great and Powerful. 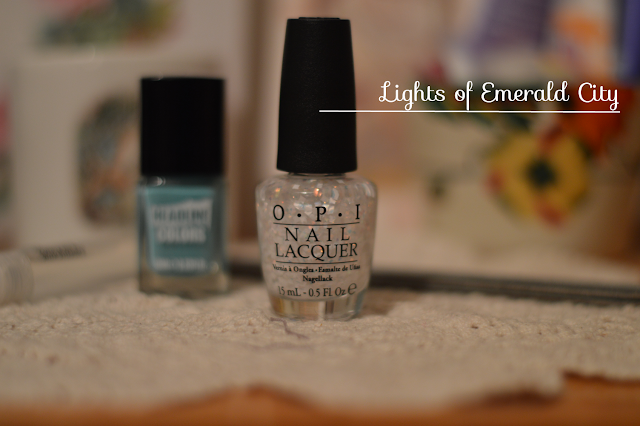 Following the speckled/glitter top coat trend I was automatically attracted to Lights Of Emerald City*. 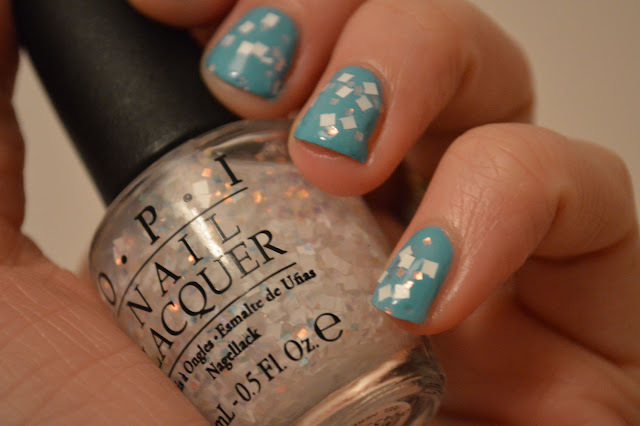 This eye catching polish is packed full of white and iridescent squared confetti pieces. I found the formula to be on the 'gloopy' side, having said that it didn't put me off. I applied a coat as normal and then added extra white squares where needed. Just means it takes a little longer but well worth it when you see the results! 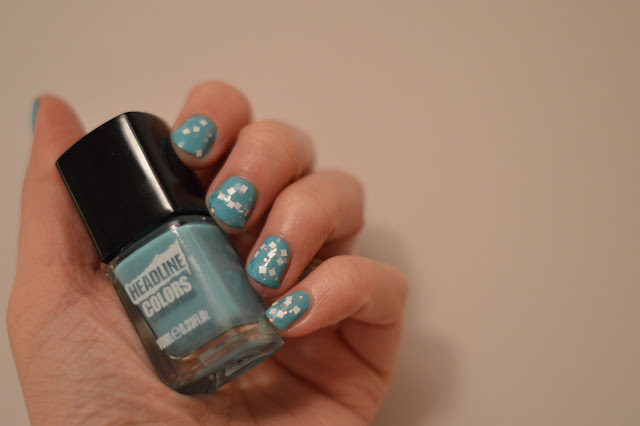 Headline Colors retail at £9/ 10ml available online- HERE. 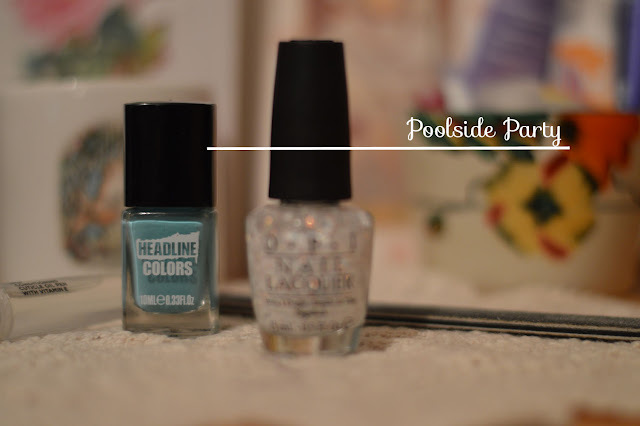 Are you layering your polishes?